In the tradition of natural theology, philosophers have long thought about the prospects for drawing reasonable conclusions about what is real or true in this fashion: A successful argument for a claim p will be a set of reasons (different than p) that are true and that when taken jointly would imply the conclusion p to a reasonable person who does not already believe p. The back story is complicated, but the idea is that if Smith is trying to convince Jones to believe p where Jones doesn’t already believe it, then Smith’s job is to present reasons, arguments, evidence, and information relevant to p and in a way that logically supports the truth of p. Then if Jones is reasonable, and if Jones, after considering all of that information, thinks that all of it (or enough to it to do the job) is true, then Jones would also accept p. We think there is sufficient evidence, for example to make it reasonable for a person who considers it in the right light to conclude that smoking causes cancer. Atheists and theists often disagree about a number of things. The central claim that they diverge on is the claim that God exists. They usually try to resolve those disagreements by means of arguments understood in the sense above. They sometimes think of each other as being irrational because the other refuses to change her mind about the issue. What these disagreements often boil down to is not just stark irrationality on the part of one side or the other. More often there are background assumptions, evidential claims, rules of inference, or questions of epistemic justification that they diverge on. That is, their disagreement about God has more to do with different views about other non-God issues. Interestingly, this model of how a disagreement can be resolved by successful argument rarely if ever actually describes the sort of process any of us, theists and atheists included, undergo to arrive at our beliefs. People rarely just change their minds after a sober and objective period of reflection on the evidence. The way we acquire our beliefs and our behavior with regard to defending them or sustaining them is much more complicated, neurological, and organic. What does happen is that your belief structure seems to make gradual shifts and each shift in attitude about one matter, especially if it is important, ripples outward and has an effect on lots of other beliefs, dispositions, and emotional reactions. To make matters more complicated, we aren’t very good judges of what we believe, or why we believe it. Priming studies, in psychology, for example, show that neurological processes are set in motion towards a reaction long before we are consciously aware that we have seen or heard something consciously. In one study, college men were shown a number of pictures of different women and asked to judge which ones they thought were more attractive. Unbeknownst to the men, the researchers made sure that in some of the pictures the women’s eyes were dilated and some were not. Eye dilation is one physiological reaction indicating emotional openness, sexual attraction, and intimacy. The results showed that the men tended to pick out the women with dilated eyes as the more attractive ones. But when asked why they picked those women, they had no idea that the eye dilation had anything to do with their choices. They would confabulate theories and elaborate answers about having a preference for certain hair colors, or women looking like someone, and so on. But the single most predictive factor for their choices was eye dilation. These studies show how little we know about our own beliefs, and the reasons that we have them. Nevertheless, we can aspire to the ideal standard of listening to arguments for opposing viewpoints about God and other matters with an open mind, considering them thoughtfully, and then objectively assessing the truth of that evidence, and then being prepared to accept the rational implications of that evidence. We should accept those conclusions that are best supported by the evidence, even if we typically don’t. understands and believes that all of the premises in the argument for p are true. then, that person is rationally committed to believing p.
So under what circumstances are we being irrational then? This turns out to be a very complicatd question. A flagrant case of irrationality and one that would produce a lot of cognitive dissonance in most of us would be a case where we understand and believe all of the evidence that has been offered for a conclusion, and we understand and believe that the all of that evidence deductively or inductively implies that p is true, but we refuse to accept it. In practice, it is rarely obvious to an individual that he is guilty of doing this. He will often offer rationalizations or explanations that seem to lessen the cognitive dissonance. He will explain away the apparent strength of the evidence for p or produce other mitigating considerations that seem to diminish the powerful reasons in favor of p on the one hand, and he belief that p is not true on the other. But sometimes, when we are being careful and very honest with ourselves, we can catch ourselves making this sort of mistake. If the matter is weighty and we are emotionally invested on the wrong side of the argument, it can take a great deal of courage and intellectual integrity to face and accept the unappealing conclusion. Being able to recognize when we are being irrational and then taking steps to fix it are valuable cognitive virtues to cultivate for a number of reasons. But the believer in God and the disbeliever often have rational disagreements too. That is, they can have legitimate differences of view that do not clearly reduce to stark irrationality on one side or the other. What are the sources of these rational disagreements? They often differ about which premises are true. They can also disagree about whether or not the premises jointly imply the conclusion. If these are empirical disagreements, about whether or not it is possible to be a moral person without believing in God, for instance, we can go and look and settle it. Or if the disagreement is over whether evolution actually happens, we can look at examples in nature to find out the facts. If this disagreement is not empirical, and is more conceptual or abstract, the differences can be harder to identify and resolve. But thoughtful discussion can often help both parties make a lot of progress. One point of contention about atheism involves the prospects for ever giving a successful argument for the non-existence of something. That is, many people doubt that while we can know and prove that some things are real, it is not possible to prove that something doesn't exist. As they see it, you cannot prove a negative because: 1. you have never managed to look everywhere. Since we have finite time and resources, there is always somewhere we have not looked. 2. Lacking evidence that shows something is real does not imply that it isn't. That might just show that you don't have the evidence. Absence of evidence is not evidence of absence, as they say. 3. You could always be wrong. Humans are fallible, they overstate things, they leap to conclusions. And the atheist who claims to know that God isn't real is overstepping the bounds of what the available evidence could show us. 4. We just don't know what sorts of things are out there, or what God might be like. If God is something unlike anything we have imagined or investigated, then it would be a mistake to conclude that he isn't real. If there is a God, his nature and properties would be far beyond our powers of comprehension. So we wouldn't be able to even get our finite minds around him. Failing to comprehend something shouldn't be grounds for rejecting its possibility or its existence. There are a number of problems with this "You Can't Prove a Negative" view. And they are problems that indicate the route that many atheists have taken to make their case. The first problem is that it is reasonable to conclude that there are many things that do not exist. You most likely believe that unicorns, the Tooth Fairy, Santa Claus, elves, currently living dinosaurs, and Bigfoot, or some other creatures are not real. In the case of some creatures that have been alleged to be real, the existence of confessions and alternative explanations make it particularly easy to believe that there is no such thing. We have learned that the first famous Loch Ness Monster photograph, taken by Christian Spurling, was a hoax to trick a London newspaper. Some members of the group have confessed that the Patterson film footage of Bigfoot was faked as well. Crop circles, we have discovered, were the work of a couple of enthusiastic skeptics who mashed down the wheat in amazing patterns during the night. None of these confessions proves the negative in a strong sense. The Loch Ness monster could be real and the picture was faked. But if those pieces of evidence previously played a significant role in one's evidence for the creature, undermining them may be enough to topple the justification for them. And they suggest alternative explanations for many other pieces of alleged evidence that should be considered carefully. The second problem with the Can't Prove a Negative view is that it is (probably) accurate to describe your view of many other gods as atheism. That is, you are already an reasonable atheist about lots of other gods. It has been proven to your satisfaction, or you have evidence or considerations that lead you to reasonably conclude that many allegedly real gods are not real. Consider: Anansi, West African god who is brings rain, stops fires, and performs tricks; Brekyirihunuade is the highest god in the religion of the Akan people. He knows and sees everything; Cghene is the supreme God of the Isoko people of southern Nigeria. He created the world and all peoples; !Xu is the central benevolent and omnipotent god of the bushmen of southern Africa. He is the sky god to whom the souls of the dead go; Gefjun, the Norse goddess of fertility and agriculture; Sobek, the Egyptian crocodile god of water. And there are many others. In fact, there are over 2,800 listed here. If it is accurate to characterize your attitude towards Gefjun as this: "Gefjun isn't real." then either it has been proven to your satisfaction that she isn't real, or you believe it unjustifiably and you should be an agnostic about her existence (and all 2,800 of the others.) When atheists like Richard Dawkins, Sam Harris, Daniel Dennett, and Christopher Hitchens say that they are just atheists about one more god than you are, this seems to be the point they are making. They have simply extended the reasoning that led you to think that those weren't real to one more god. More importantly, you don’t believe that any of those beings are real. And you think it is perfectly reasonable to be an atheist about them. So it’s a mistake to say that negative existential claims about God or gods aren’t reasonable and can’t be proven. X is the sort of entity that, if X exists, then it would show. That is, you should conclude that X isn't real when you've looked long and hard in the areas where evidence would be if there was any, and none of the evidence has been strong enough to justify believing, and finally, the thing we are looking for is the sort of thing that would appear in some way, or manifest itself in a way that we could recognize. So now we have seen that it is possible to prove the negative, and that you already believe many negative existential claims justifiably. And we have a rough idea of what it might take to prove it. The question that remains is, "are these conditions met with regard to God?" Many philosophers think that they are. Let's consider the conditions one at a time. Is it the case that the area where evidence would appear for God, if there were any, has been comprehensively examined? We are using "evidence" broadly here to include a priori or conceptual considerations, arguments, empirical evidence from biology, physics, and cosmology, and so on. Philosophers have considered countless versions of the teleological, cosmological, ontological arguments, the argument from miracles, intelligent design, the problem of evil, faith, and on and on. The topic has been one of the most heavily debated and carefully considered in the discipline for more than 2,000 years. God may be the sort of being that is difficult to identify or conceptualize, but it should not be said that we have not been doing our very best to answer the question. Is it the case that of the available evidence--the arguments, reasons, empirical considerations, a priori analyses, and so on--is inadequate to show that God exists? Does that evidence, on the whole, suggest that God is real or not? By and large, the consensus among philosophers (both believers and non-believers) is that none of the arguments for God's existence succeed. It is also clear that the majority of philosophers who are familiar with these arguments do not believe. A recent Philosophy Studies survey reported that 73% of philosophers accept or lean towards atheism, while only 15% accept or lean towards theism. (12% reported "other.") Phil Papers Survey It would also appear that most people have serious doubts about the prospect of giving anything like a proof or successful argument for the existence of God. So it would appear that the second condition is met. 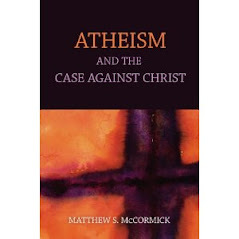 In his book Atheism: A Philosophical Justification, where Michael Martin presents the Santa principle he systematically presents and analyzes all of the best current arguments for the existence of God, and finds them all wanting. Scriven, Drange, Everitt, Sobell, Mackie, Oppy, Gale, Nielsen, Fales, and many others have gone through those arguments too and they all find serious objections to all of them. Some theistic philosophers like Alvin Plantinga, Richard Swinburne, William Lane Craig, and William Alston disagree, however. They believe that there are successful arguments for God's existence. Judging from the Phil Papers Survey, their view appears to be in the majority, but there is a serious and interesting set of disagreements between them and the former set of philosophers. There will be some people, therefore, who will argue that the second condition in the Santa Principle has not been met. The available evidence for God's existence is adequate, as they see it. So if they are right, the Santa Principle will not apply to God and we should not conclude that there is no God on its basis. What about the third condition? Is it the case that God, if he exists, is the sort of being who would be detectable, comprehensible, arguable, or manifest to us in some way? If there is a God, would we be able to know it? To answer that question, let's consider another question: if God exists and he has infinite power and knowledge as he is often alleged, would he be able to make his existence manifest to us if he chose? Would it be within God's power to show himself to us? I think most people's answer, believers and non-believers, is yes. God appeared to Moses in the Burning Bush, Allah spoke to Muhammed in a vision, God interacted with Adam and Eve, Jesus is thought to have communicated God's existence and message to people. If God could do those things, it seems that he would be able to do even more to make his existence apparent if he so chose. At this point in the discussion, many people will remark that God would be an extraordinary being with properties far beyond our ability to comprehend. So we should hesitate to infer his non-existence from his non-obviousness, as it were, to us. These are legitimate concerns. Let us return to them in a moment. The question will be, what is the appropriate sort of cognitive attitude for us to take towards the existence of non-existence of things that we cannot, by hypothesis, understand? It is worth noting that many people, including many believers, think that God's existence is manifest in the world around us, in our minds, in our prayers, and so on. It turns out that it is hard to construct a successful argument from these considerations, but the point is these believers do think that God's existence is the sort of thing that is manifest or discoverable by us. So if it is discoverable, and we have made exhaustive inquiries into the realms where we would expect to make that discovery, and we have come up empty handed, then it appears that the Santa Principle applies to God and we should conclude that he does not exist. At least, this is what the long list of atheological philosophers above think we should conclude. 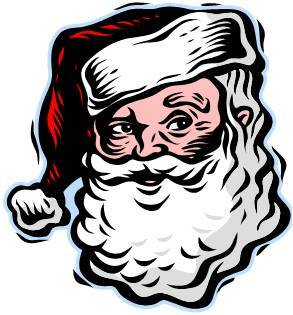 Put more schematically, we can ask, is God like Santa? Those philosophers would argue that we have a successful argument (in the sense of "successful argument" from above). If conditions A,B, and C, are met concerning an entity, then it is reasonable to conclude that no such entity exists. Conditions A,B, and C are met concerning God. Therefore, it is reasonable to conclude that God does not exist. Now let us return to the "But God's nature is a mystery," response we briefly considered above. Several claims are often made about our inability to understand God, and these considerations might lead us to think that the third "showing" condition is not met. Or they might bear on the first or second conditions. God’s real nature is vastly beyond our conceptual abilities. So our attempts to understand God’s nature, motives, plans, and existence are handicapped by our limited conceptual tools. Even though the arguments for God’s existence seem to fail, he could or does exist in some unconceived fashion. A related claim that is often made is God’s goodness is so far beyond anything we can imagine, that what appears to be evil is actually good and part of God’s plan. The problem is our limited intellects, not the impossibility of God’s existence. What can we say about these points about our ignorance or limitations? Some of these points are correct: There are mysteries, we have our limits. But now the question is, what attitude is reasonable to take towards the existence or non-existence of things that are at or beyond the limits of our abilities? One point seems to be clear. The mystery response appears to undermine theism. If there exists something that is ex hypothesi beyond our capacity to understand, then it cannot be reasonable to form any positive belief about it. That is, it is inconsistent to simultaneously assert that it is reasonable to believe in the existence of something AND it is beyond our comprehension. So the views that God is mysterious and God is real do not sit easily together. How do we ordinarily treat similar hypothetical and incomprehensible possibilities? It is possible that God is the sort of thing that cannot, in principle, be grasped by human understanding. The universe could be populated with any number of things like that. It could be that any of the thousands of gods on our list from above, such as Anansi, Brekyirihunuade, Cghene, !Xu, and Gefjun are real, but their natures are beyond our comprehension. The problem is that you probably don't think that they are real. Suppose that you expressed your doubts about the reality of Gefjun, or Paluga to a devoted follower. And in response, she said, "But Paluga's infinite nature is beyond comprehension. You can't possibly think that your finite human doubts make it unreasonable to believe in Paluga's existence." You probably wouldn't be convinced by this defense. In fact, you probably wouldn't even elevate your view of Paluga from atheist to agnostic because it is possible that Paluga's nature is too far beyond your powers of understanding for you to draw a reasonable conclusion. It is possible that any of these other supernatural beings that you think aren't real (and many more we haven't thought of) could have natures that are beyond human comprehension, but in their case, that possibility isn’t suficient to lead you to be a serious agnostic about them. You still don’t think they are real, even though they might exist out there somewhere that we haven’t investigated yet, and even though they might have natures that vastly exceed our capacity to undertand. So either your atheism about them is unjustified because you should be agnostic about all of them 2,800 of them, and God is just one more supernatural hypotheses that you are waiting to draw a conclusion about, or you are reasonably atheistic about them and God falls into the same category. At least, that is the situation that suggested by the application of the Santa Principle. Atheism about all of these beings, including God, is reasonable. It's justified. If we know that there is no Santa on the basis of these considerations, then ceteris paribus, we know that there is no God. I've noticed that nearly every discussion for me with theists are long and involved, and I try as methodically as possible (with my severely limited arsenal of "weapons") to disprove each idea thrown my way. Some theists argue from personal experience, some from a more theological perspective, still other's I haven't quite identified what their argument was (not an insult to them but, rather, a recognition of my ignorance). How they all ended, however, was remarkably similar. "Well, that's why it's called faith." The F word seems to be the be-all, end-all in the lay theist view as far as discussion on the existance of god is concerned. I wonder why this is. It's possible to get a theist to agree that his/her view is irrational, but then making the connection to their epistemological standards that they use to define every other belief, idea or experience in their lives is nearly impossible. "Ok, my belief in god is irrational. So what?" I believe you've written about this before, but I shudder to think what would happen to the court systems if people used this same irrationality in deciding innocence or guilt of their fellow human beings. We can easily see how this lack of consistent application of epistemological standards leads people to all sorts of different beliefs. There are many things that, as humans, we'd like to be true. Unfortunately, that confirmation bias leads people to believe things without checking for alternative explanations, counter-evidence, etc. I don't think term "Mind Virus" is far off here. When peole allow one part of their life to be dominated by an irrational, illogical idea "faith" it spreads to other, much more dangereous areas of thier lives. Health, prejudice, violence etc. My question is, how can we explain to a lay person that "irrational" IS wrong. How do you cross the bridge from the things they contemplate empirically (Santa) to the thing they don't (god)? I apologize if this is slightly off-topic. DM is an atheist! Repent DM! Jesus will condemn you to Hellfire unless you change your ways! You are sending souls to Hell! How? Why? You don't shine your light, that's why. Forgive seventy times seven, or go to Hell! Jesus will say to you on Judgment Day, depart, I never knew you! Repent DM, or burn in Hell forever! Now, dang it, DM, you promised us "one more time" in your last post. Keep your promises. Thanks for a very insightful post. I consider myself an agnostic atheist which means that I don't believe any of the 2800 plus gods that men have postulated exist but I can't say for certain that no god of any description might exist. Is that essentially what you are saying in your last paragraph? Also, I recently came across the book by Richard Burton, On Being Certain. Burton is a neurologist. He has some very interesting things to say about how we "know" certain things. Are you familiar with the book? Thanks Ken. I think that for any given god hypothesis or proposal you are either an agnostic or an atheist. I don't know how you could be both given that they take exclusive positions. And I don't think that's what I'm getting at in the last paragraph. The frequent claim: "You and I can't prove with certainty that there is no God. Therefore, we should be a) agnostic, or b) that leaves room open for faith. I have tried to show here and in previous posts first that there are a number of deductive atheological arguments that purport to prove that God is impossible. So insofar as they are successful, then we have certainty, or as much as we get for anything, that God doesn't exist. So that undermines the claim. Second, even if we don't think those disproofs are successful, it is inconsistent, and capricious to apply the "No belief is justified unless it can be proven with absolute, deductive certainty" standard. We haven't meet that standard for very many beliefs at all. So to adopt agnosticism on the basis of that criticism/standard is misguided, and arbitrary. You know, DM makes such a compelling case, I think I might be convinced. And it's especially effective, I find, when people write to me IN ALL CAPS AND USE LOTS OF EXCLAMATION POINTS!!!!!!!!! I FIND THAT THAT HELPS BE BELIEVE STUFF THAT I AM SKEPTICAL OF!! Great now atheists have a exponentially long list of propositions they claim to know is true. Such as disproving invisible imps or that there are no aliens in the entire universe. "I shudder to think what would happen to the court systems if people used this same irrationality in deciding innocence or guilt of their fellow human beings." You had better begin shuddering because that is exactly how jury members do it!